The Journal of Clinical Endocrinology and Metabolism just published a clinical review paper written by myself and my mentor Dr. Mike Schwartz, titled "Regulation of Food Intake, Energy Balance, and Body Fat Mass: Implications for the Pathogenesis and Treatment of Obesity" (1). JCEM is one of the most cited peer-reviewed journals in the fields of endocrinology, obesity and diabetes, and I'm very pleased that it spans the gap between scientists and physicians. Our paper takes a fresh and up-to-date look at the mechanisms by which food intake and body fat mass are regulated by the body, and how these mechanisms are altered in obesity. We explain the obesity epidemic in terms of the mismatch between our genes and our current environment, a theme that is frequently invoked in ancestral health circles. Many of the ideas in our paper will be familiar to those who follow this blog, but most of it is more technical than I can get away with here. One of the central concepts is that body fatness is actively regulated by the brain, rather than simply being the passive result of voluntary eating and exercise behaviors. This is supported by a massive amount of evidence spanning the last 170 years (2). Obesity involves the brain 'defending' a higher level of fat mass. 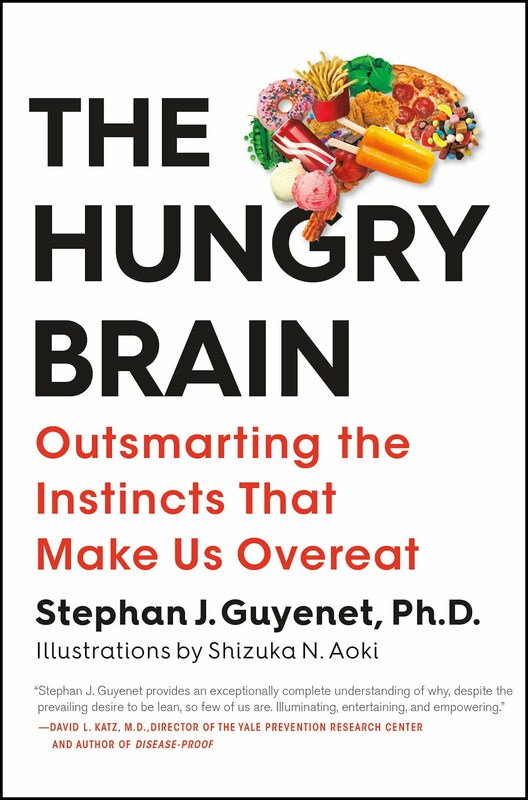 Another central concept is that the brain regions that regulate food intake and body fatness are reciprocally interconnected with those that respond to food reward/palatability, and highly rewarding/palatable food can increase food intake and body fatness by this mechanism. Although I didn't invent the concept (I think Dr. Michel Cabanac may have invented it in the 1970s), I've never seen the supporting evidence laid out like this in a modern review article, so I think it will be novel for many people even within my field. Unfortunately, space didn't permit me to expand on it nearly as much as I wanted, but for those who would like more detail on this particular concept, please see the articles I wrote in October (3, 4). Over the course of industrialization, affluent populations have experienced an “epidemiological transition” characterized by an increased prevalence of certain disorders that are uncommon both in nonindustrial populations and in wild animals (1). Among these, obesity is perhaps the most conspicuous. Affecting approximately one third of adults in the United States (with an additional one third falling into the overweight category) (2), obesity has become a leading cause of morbidity, mortality, and reduced quality of life (3), a problem aggravated by the limited efficacy of nonsurgical treatments. Nearly 60 yr ago, Jean Mayer and his contemporaries hypothesized that because hypoglycemia potently stimulates appetite, hunger is normally triggered by sensing of declining plasma glucose levels or rates of glucose utilization by hypothalamic “feeding centers” (8). Decades of subsequent research have demonstrated that to the contrary, meal onset is not causally related to preprandial blood glucose (or insulin) levels within the normal physiological range (9). Yet the notion that low glucose (or elevated insulin) levels drive feeding behavior and promote fat gain remains widely popular, due largely to the marketing of commercial diet plans based on the glycemic index or reduced carbohydrate content. These findings collectively suggest that obesity can arise when animals or humans are confronted with foods whose palatability/reward value greatly exceeds that to which they are genetically adapted, and hence that interventions that inhibit food reward can prevent fat gain and promote fat loss. In considering these hypotheses, it is important to bear in mind that obesity in both humans and animal models involves the biological defense of an elevated level of body fat mass (Fig. 3). A key issue, therefore, is to understand how a change in the reward value of a diet impacts the energy homeostasis system. We also discuss the central role of leptin in body fat regulation, the fascinating case of bariatric surgery, genetic and developmental factors in obesity, and of course the role of inflammation and neuron injury in the hypothalamus. I'm grateful to Dr. Schwartz and JCEM for the opportunity to publish this article. I look forward to feedback from researchers, physicians and anyone else who reads it. Yay. Hooray for you and...thank you! May the feedback and ongoing discussions prove helpful to those of us fighting our fat fight. Interesting read. Congrats on your publication. Can you give us a link to the actual article? Can't check out the reference cites without that. Or how about adding the cites themselves to the footnotes you've quoted? I am trying to reconcile this with your recent JCI paper, where the D12492 diet in rodents resulted in inflammation in the hypothalamus, well in advance of the onset of significant weight gain. What is the hypothetical connection between excessive stimulation of food reward and hypothalamic inflammation? Toxicity from excessive neuronal stimulation? To go way out on a limb, if excititory neuronal death could cause a kindling epileptic effect in this region, it would have chilling implications for obesity. As Dr. Deans has pointed out, ketogenic diets have been used in the treatment of epilepsy, so this would be consistent with its success in treating obesity in many people. As many in the VLC blogging community are developing tinfoil hat hypothoses, I might as well throw one into the mix. I wanted to add something besides blandness and flavor that is getting overlooked in the food reward discussion: voluminous foods. Almost all the indigenous groups we study who have no obesity eat voluminous, fibrous foods with a high water content which fill you up quickly. Staffan Lindeberg basically makes this the basis of why HGs don't experience obesity or other western diseases in Food and Western Disease. Besides the obvious sensing mechanisms of taste and smell, we know that certain hormones are released from the jejunum and duodenum when they sense fullness, telling you to stop eating. This may have nothing to do with calorie sensing or food density at all, just sensing the sheer volume and weight of the food you ate. My point is that fiber and water, though they end up in the toilet bowl largely unused, have a part to play in our ancestral eating experience, for simple mechanical reasons which end up affecting out bodyfat setpoint. I think lots of modern paleo and VLC advocates are using the "useless fiber" argument too simplistically. By concentrating solely on what the body uses and needs (like meat), they aren't seeing the big picture. I speak as someone who used to be VLC eating 80% fat and now eats about 60% high volume root vegetables, fruit and salad, with no weight gain (and I even lost another 15 lbs). A diet focused on voluminous foods is basically nature's lap band surgery. And Evelyn, I apologize for accusing you of working for Big Agra on Peter's blog. You were right to question low carb as a one-size-fits-all fast-track to health and fitness. As a longtime paleo dieter and then VLCer, I recognise now that low carbing has revealed itself to be right for the wrong reasons. Picking "master hormones" like insulin and studying them in isolation is a mistake made way too often by researchers. If he's going to make millions telling sick and suffering people what to eat, Taubes has a responsibility as a science investigator to tell the whole truth. And boiling everything simply down to insulin just because it sells books is dishonest. Could you write an article about pychrotropic drugs/ anti-psychotics? The all seem to have a bad profile: weight gain, increased blood sugar, HDL increase, etc. If you're taking requests for future blog posts I would appreciate your thoughts on growth hormone expression and intense, short duration exercise. The reason I mention is because while a natural, "Weston A Price", no-artificial sweeteners diet has arrested my weight gain and improved my health markers, it did nothing for weight loss. Recently though I have been experimenting with Peak 8 exercise and have seen early progress. Too soon to call a blow-out success, but have been losing about a pound a week so far. Are you planning/willing to post more follow up on your informal volunteers re food reward? Review articles are a major amount of work and this one is very impressive. Right for the wrong reasons, indeed. Glad to see more folks demonstrating the inherent flexibility of the human metabolism. Congrats! Given your ability to communicate to many different audiences, this will hopefully be the next step for you to broadly disseminate this message so that people can make informed changes in their lives. I included a link in my post, but it will not take you to the full text unless you have a subscription to the journal. E-mail me if you want the paper. You asked "What is the hypothetical connection between excessive stimulation of food reward and hypothalamic inflammation?" There may or may not be a connection, but that's something we're currently investigating. Your comment is along the same lines we've been thinking, but I can't say anything more about it at this time. Nice to hear about your successful diet change. I agree with what you're saying re: energy density and fiber. When I'm talking about the causes of the obesity epidemic, I often say that energy-dense highly palatable/rewarding foods are a factor. I'm not sure you would become obese if you somehow became addicted to carrots for example. It's complicated though, because energy density is also one of the most important reward/palatability factors. Energy density is one of the reasons why I think plain starchy root vegetables like sweet potatoes and white potatoes are good for weight loss and general weight maintenance. They have a lower energy density than most foods (excluding low-calorie foods like non-starchy vegetables) and the highest satiation:calorie ratio. Stomach distention is one of the most powerful satiation factors. Flour products, even things like plain bread with nothing on it, have a high energy density due to low water content. Plain bread is on par with a fatty pork chop. Add butter to the bread and you've exceeded the pork chop. Research on bariatric surgery has shown that the most important element for significant and durable fat loss is bypassing the upper small intestine (and as a consequence, increasing nutrient exposure to the lower small intestine (ileum)). This is something I touched on in my paper. The upper small intestine is important for food reward valuation, so that probably plays a role, but there may be another factor. I've been tossing around the idea that increased nutrient sensing by the ileum may favor a lower setpoint due to signaling via gut peptides and local nerve terminals. If you eat a piece of white bread, it's absorbed almost completely by the upper small intestine and nothing reaches the ileum. If you eat something that is coarse or contains fiber, there is a lot more matter entering and presumably stimulating the ileum. David Ludwig brought up a related concept at the Harvard Food Law conference and it stuck in my mind because of how it dovetails with the bariatric surgery research. So yes, I think energy density and fiber fit nicely into the overall picture and the research seems to support their importance in food intake and body weight regulation. That is a very interesting topic that maybe I'll touch on someday. Many of the antipsychotic drugs that cause weight gain antagonize the dopamine D2 receptor. Glad that strategy is working well for you. I don't know much about that, but I'll keep my eyes peeled. One thing I do know is that in rodents, exercise has been shown to attenuate and perhaps even partially reverse leptin resistance in the hypothalamus. I don't have any immediate plans, but I'll probably post something from time to time. You say: "If you eat a piece of white bread, it's absorbed almost completely by the upper small intestine and nothing reaches the ileum. [hence it is higher in reward than coarser, slower-digesting things?]" But doesn't white bread usually become extremely (/problematically) high-reward only after we add things like cheese or peanut butter or fudge--fatty substances that slow down digestion? So won't 'magically delicious' food like white bread smothered with 5oz. gnutella and toasted almonds at least partially reach and stimulate lower parts of the digestive tract? ^Guess what I am trying to ask is, how to reconcile this early absorption idea with the notion of many high-reward foods being very 'heavy and rich'? early in the post you say: "One of the central concepts is that body fatness is actively regulated by the brain, rather than simply being the passive result of voluntary eating and exercise behaviors." This caused me a long period of metaphysical musing. Aren't voluntary eating and exercise behaviors the result of what happens in the brain? What is the difference in this context between active and passive regulation? I'm sorry if your article actually answers those questions, just sharing. Thanks. The idea of nutrient sensing in the ileum may be separate or partially separate from the issue of reward. I agree that if your diet is centered around large amounts of white bread to the exclusion of other foods (as the US diet was 130 years ago) it won't be very high reward and probably won't lead to obesity, although white bread is higher palatability than whole meal bread. If by "heavy and rich foods", you mean fatty foods, those don't make it to the ileum. Fat is absorbed in the upper small intestine. What makes food hit the ileum is if it's coarse (so digestive enzymes can't get to it quickly) or contains fiber. Yes, the idea is hard to express clearly and succinctly, but a more accurate way of putting it is that body weight is not simply determined by the conscious mind. Ultimately, the conscious mind can decide what goes into the mouth, but other, unconscious parts of the brain strongly suggest what you should eat and how much. But I didn't want to launch into that because it's distracting. Also, certain types of starch digest more slowly so it's possible that they would enter the ileum to some degree-- not sure about this. Maybe I am misunderstanding, but it sounds like what you're saying is that this is a sort of hidden mechanism that drives our desires. I find it very striking I guess because most of us are in the habit of thinking that our motivations are formed in some sort of ether that is completely unconnected to our biology. But this does make me wonder whether there are methods like meditation that could affect the brain mechanism you've identified? Really very interesting! 130 years ago, something very significant happened. I remember Stephan telling us Americans were at their leanest in the late 1800s. That means the obesity epidemic started right after the introduction of roller mills. "Ultimately, the conscious mind can decide what goes into the mouth, but other, unconscious parts of the brain strongly suggest what you should eat and how much." There's a dualism involved, which I think makes this unstudiable beyond a certain point. Descartes believed the pineal gland was involved--not a bad guess for the time. I've been following the palatability/insulin debate since this summer and I'm finding it hard to figure out what to do with this information. The insulin resistance/low-carb paradigm seems to lend itself better to instructions on what to do, what to eat, etc., and it has worked for me in the past. That said, I am still obese. A couple years ago, in desperation, I joined Sharp Hospital's weight reduction program which uses HMR's weight loss products (basically, sugar/protein shakes and bland pre-packaged meals) and I lost 130 pounds in 9 months - Gold Star for me! 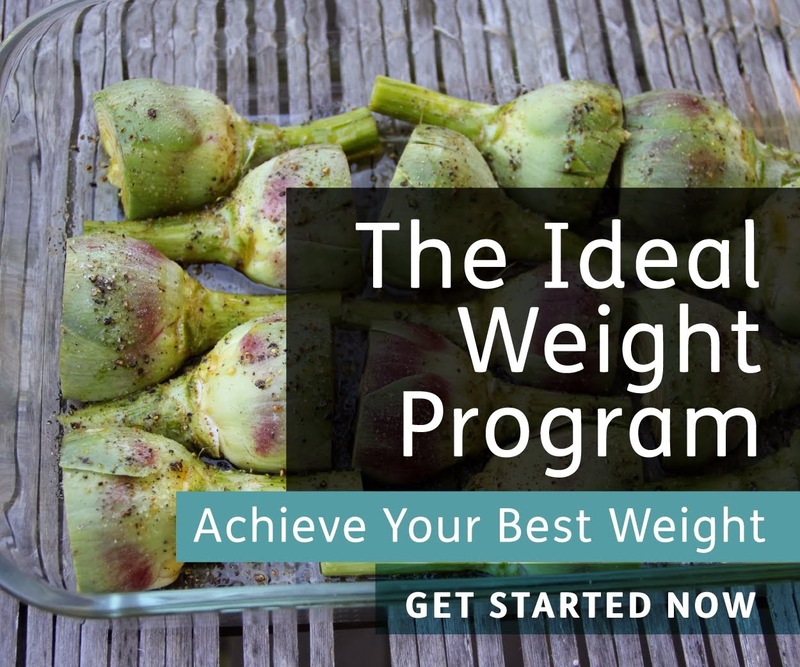 It was expensive, though, and their concurrent post-diet training was all the standard low-fat, high-grains "conventional wisdom" that had put me in the need for the diet in the first place. I've gained back 70 of those pounds in the last year and a half (40 in the last six months). Now, I'm looking at what you've been writing about since this summer and trying to figure out what to do with this information. It seems like you're research and your writings are very descriptive instead of prescriptive. That's proper research - I get that - but without concrete actions to implement this knowledge I can't act on it. I may have missed where you have implied a course of action to use this information. Do you have any suggestions on where to look? My only variation on Dr. G's recommendations is that right now I am doing no planned cheating. ONLY do this if you know that when you cheat you can END the cheating quickly - within one meal say. My thinking is, if I have an unplanned cheat once every 3 months for one meal, then I've avoided 11 planned one-per-week cheat meals. The concensus seems to be that moderate, planned cheating is better than adamantine, draconian methods so again, I ONLY suggest a zero-cheat approach, if you're confident that your cheats won't get out of hand. No kidding ... even the simple stuff here has been mis-understood and communicated elsewhere in such a mutilated form it really makes one despair sometimes. oh, yes ... I am doing a very low fat variant. for the "choose one meat" I've gone an entire month on boiled boneless, skinless chicken or turkey breast. This comes after a decade of high fat and low carbing. I used to be one to have leftover fatty steak and soft boiled eggs for breakfast, leg of lamb and buttery egg omelet for lunch and fatty steak and cow eggs (just testing) for dinner. This is an experiment. I'm not planning to do this permanently, it was just my way of getting over my personal decade of delusion. isn't there a way to disable these hoodia and yoga and "great diet advice" zero-content spammers' google accounts for spamming? The complaints page only lets me complain about the entire blog, not about a poster with a google account. addendum: if you try zero-cheat, KEEP RECORDS and if your cheats are either frequent or LONG (you cannot cut them off quickly and just keep cheating) then maybe planned cheats are more your kidney. Thanks, Sanjeev. I hadn't seen that. Congrats, Stephan! It's always exciting to read what you write. "Energy density is one of the reasons why I think plain starchy root vegetables like sweet potatoes and white potatoes are good for weight loss and general weight maintenance. " What do you suppose is happening with people like me, for whom starches, like sweet potatoes and even beans, dysregulate appetite and drive overeating? I read your words and think, "Sure, in some sort of bizarro McDougallite parallel universe." I realize I can't project my metabolism on everyone else, but the idea of starchy foods for weight loss and weight maintenance strikes me as freakishly jaw-droppingly wrong. I don't claim to have the Ultimate Truth for Everyone, but I do stand by what I wrote as a general principle for most people. I think it's important to make a distinction between 1) adding starch to a low-starch diet, and 2) switching from a low-starch diet to a diet in which simply prepared starch foods predominate (like the Kitavan diet). The former may promote fat gain, while the latter probably will not (with the exception of the first few days as water weight increases). The reason is that both low-carb and simple high-starch are reduced reward restricted diets. I suspect that many low-carbers would maintain or even lose weight if they switched from low carb to a starch-based diet centered around simply prepared starchy root vegetables. So far, I have heard several anecdotes that support this. I'm not claiming it would work for everyone, and no I'm not going McDougall or vegan. I'm just saying it's a viable alternative possibility for weight loss/maintenance for many people. Wow, what a tremendous effort! I imagine this review will have set the table nicely for your coming projects. I just finished the article, filling in many gaps in my understanding. Thank you! It seems to me that people are going to have problems eating starch so long as their insulin-producing machinery is not working properly. Pancreatic beta cells should be so sensitive to glucose that they produce insulin at once when blood sugar rises after a meal. If they don't, it will rise too high, and then too much insulin is released and blood sugar plummets. Some people think this 'reactive hypoglycemia' is extremely common. It doesn't get diagnosed because the standard Glucose Tolerance Test is only for 2 hours, and blood glucose doesn't fall below baseline before 3 hours. Stephan how do you explain that breakfast cereals of any kind have a consistent negative association with BMI, weight gain and metabolic disease? They are very energy-dense and typically low in fiber and high in sugar, making them definitely high-reward foods. In the last study, sweetened cereals had an even stronger negative association with BMI than non-sweetened cereals. In this study, increasing consumption of breakfast cereals yielded greater well-being and satiety than increasing consumption of vegetables, which was arguably the low-reward diet. Thanks, I'll have to think about it. It could have to do with the fact that they're eaten with milk, which is typically inversely associated with weight gain. Or, sweetened cereal consumption could be tracking with something else like socioeconomic status. Or perhaps the alternative breakfast (pastries, donuts) is more fattening and cereal is better by default. These are the types of things that could influence an observational study, but I'd have to take a closer look at the papers to form a stronger opinion. There was also a very recently published study on sucrose and weight gain in rats that were either postnatally over- or underfed. Rats getting sucrose in their water in adulthood consistently gained less weight even though they consumed more calories, with the effect being most pronounced in postnatally overfed mice (incidently those who ate the most sucrose), who are overweight and metabolically diseased from early life. This adds to other studies also showing protective effects of sucrose on weight gain in rodents, and I think this and the third study in my last post rather points to that sucrose has metabolically beneficial effects, something that Ray Peat has written extensively about. Stephan, I'd love to get your ideas on a couple of thoughts I had, re: obesity and some psychology experiments I've read about. "this person is a firefighter"
On later questioning the 2 groups' recollection of the (identical) stories differ. Information is added or elided to conform to the extra piece. Once one commits to a specific diet, to the extent of publicly declaring its superiority for all aspects of health, how does that influence recall of previous experiences? I'm specifically thinking of reports of gaining weight while experiencing feelings of extreme, continuous hunger and deprivation on previous diets. @Stephan - Thanks for the explanation. Hadn't realized that despite the much-vaunted advantage of LC in smoothing out postprandial insulin peaks (and subsequent troughs) by slowing down overall absorption, fat is still absorbed relatively early in digestion. By 'heavy and rich', I meant foods that lead to a subjective feeling of 'bleghhh' (different from a satisfying fullness) after eating perhaps more than warranted. Seems like a lot of highly rewarding foods are like that, e.g., pizza; but perhaps they are so rewarding *despite* and not in part *because* of that sensation.... Sorry I can't come up with a better English term for what I'm describing--anyone care to help me out? @Sanjeev - Did you end up implementing a high fructose version of the low-reward diet using sweet potatoes, as you'd previously mentioned? Although there is some variability between studies, sucrose does cause fat gain in rodents in most studies where it is administered in bottles. So does glucose and fructose. Basically, giving rodents sweet caloric liquids makes them eat more calories and gain fat in most studies, and this is best detected by actually measuring fat mass rather than just body weight. I don't know why there was a discrepancy (particularly in females) in the study you cited. Sucrose also exacerbates the ability of purified high-fat diets to cause fat gain and insulin resistance. But if you give rats pelleted low-fat diets very high in sucrose or fructose, they don't necessarily gain fat (and in some cases remain leaner than controls). I think this suggests that presentation and flavor matters. Sugar only tastes good up to a point. I think that phenomenon is very real in the diet-health world and is one reason why you have to take anecdotes with a grain of salt. If I do, it will be in a few months. I don't want to add an extra variable into the mix right now. I got some good ideas for more research out of that though. Where not only were sucrose-fed mice of two different strains consistently leaner than mice fed the low-sugar diets, but they also studied the addition of sucrose to the drinking water and found that it substantially decreased their feed efficiency, suggesting increased metabolic activity. Though in the case of rats fed solid high-sugar diets it may sometimes well be that they remain leaner because it simply isn't that appetizing for them. Also I don't quite agree that sucrose always exacerbates the effects of high-fat diets, several studies such as the one cited above found a protective effect in one common strain, as well as the following which found no difference between high-fat diets high in either starch or sugar. Though I'm awaiting your post on sucrose and body fat with anticipation. In the first study you cited, sucrose exacerbated the fat gain on high-fat diet in one strain but not the other (as estimated by measuring two fat depots, mesenteric and inguinal, rather than total body fatness, which is preferable but seldom measured). In both strains, the sucrose plus fat groups weighed the most. Sucrose did not protect against fat gain or weight gain in the context of a high-fat diet in either strain. I think this is consistent with the idea that sucrose can exacerbate fat gain on purified high-fat diets, but that some strains are more susceptible than others. As you said, in the low-fat context, the sucrose groups were leaner than the starch groups. The low-fat sucrose groups also ate fewer calories than the low-fat starch groups. This supports the hypothesis that the high-sucrose diet was less palatable. In rodents as in humans, sweetness tastes good up to a point, but excessive sweetness is aversive. Regarding the lower feed efficiency in the sucrose water group, they also ate more calories, and body weight/fat was not reported so we don't know if they gained weight/fat. In the second paper you cited, none of the rats gained weight on any of the diets, so that's not very informative with respect to sugar's role in obesity. Some experimental setups won't produce dietary obesity, depending on the strain used, the cage setup, ambient temperature, presence of a running wheel, or other factors. It's tough to study obesity if your rats won't get fat under any of your treatments. Here's a preview of my sugar-obesity post: context matters. Sugar is probably not inherently fattening, but it can contribute to obesity if it is skillfully added to foods because it increases reward/palatability and promotes overconsumption and fat gain by that mechanism. I think that's the only explanation that can make sense of the evidence as a whole. PS- in case my comment on the first paper was confusing, the low-fat high-sucrose diet was 61% sucrose, while the high-fat high-sucrose diet was only 13% sucrose. The latter is tasty to rodents, while the former is too sweet to taste good to them-- sweetness preference decreases at very high concentrations in rodents just like in humans. Can rewarding foods increase hunger? actually hyperinsulinemia and obesity are only symptoms of serious glucose handling problem. malnutrtion as it were. by the way I really appreciate your blog and being able to comment and learn what research and experiences you have had. obesity is a serious problem and saying that it decreases quality of life is an understatement. so I sympathize with any obese people who are so obese that it hinders enjoyment of the simple things in life. I have been listening to stephanie seneff, she has tons of stuff to read for free on her blog. she responds to emails too. she speaks about cholesterol purpose and benefit, saturated fats benefits and the harm unregulated glucose has on the body. this is the only diet that has been making an impact on me, slowly but it is something I can stick to with little effort, I lost some weight, not massive don't get me wrong, but other symptoms tells me I am on the right track. 1 cravings for cake, massive amounts esp during that time of the month, ice cream like bookoo amounts to achieve satiaty, cravings for doritios, chips and such in massive amounts, it seems I couldn't get full or satiated for more than a couple of hours. i tried my little heart out to eat healthy, lots of fresh fruit, veggies, whole grains, low fat meats and milk and cheeses you name it I tried it. never stopped those doggone junk food cravings I am talking huge amounts. it was like I was starving and couldn't figure out why my body wanted to be fat. now I know. read her articles. 2 benefit, I am more relaxed, inside, I don't have the uneasiness I usualy had, that grinding internal feeling. 3 my energy is increasing, and my training response is improving, I used to exercise lift weights and walk alot despite sometimes not feeling like ti and my training response was like nil. my stamina, strength wouldn't improve. no matter what. there is more but too lengthy to explain. just suffice to say hyperinsulinemia is caused by the body not having the nutrtional support needed to handle glucose. fat cells are used by the body to handle this to convert to fat so cells have energy since they can't access the glucose very well. that is why you get fatter and fatter, the more malnorished you are the more you body has to hoard to handle glucose all those inflammatory chemicals relasesed by fat cells is simply because the fat cells are sick overwhelmed while malnorished in handling glucose. Stephan this is really a good research work. Thank you, as someone who works like heck to maintain a normal weight I have to say I find this news a little discouraging. Always wishing it just wasn't so much work,but now I see why. The thinner I get, the harder I work and when I gain weight I start all over again. Great research. I am passionate about this subject as a nursing student very interested in public health. I can relate to one poster who said the thinner he got the harder it got. this frustrates me to, considering all the people i know including my hubby who lost weight simply by making a few changes and not restriction caloires at all. several went on a low gi diet (which to me is low carb as in low carb in serum low carb)without caloire restriction either in fact they said they did not count the caloires at all. my hubby simply by stopping drinking of pop at work and drinking raw honey sweetened tea, raw honey and vinegar combo which he says helps energize him when he gets tired (he drives truck). also he started an omega 3 supplement fish oils but still ate normally in all else (his goal was cholesterol lowering not weight loss) but he ended up losing like 50 pounds in a little over a year it totally shocked him when he got weighed at the doctors office. you can look at my face at the time when I was like man I am happy for you but this is not fair!! so we are wasting our time trying to eat less we need to eat right and not restrict the caloires increase our nutritional status like 20 fold. that way it registers in our brain that are diets are optimal and excess fat stores are not longer needed for survival. well that is the theory anyway. 2) Obviously a review of this nature cannot be exhaustive in covering all central influences but can you please make a comment on any role for insulin's CNS effects and how differential regulation of those receptors relative to various peripheral ones might play a role? Also Jane had mentioned uroguanylin in a post; while I doubt it will be any Holy Grail it does seem that it may turn out to be an important messenger as well. Any comments about it? 3) You discuss the model of inflammation and leptin resistance in ARC neurons occurring early in response to a HFD. Is there any plan to use that model to investigate how reversible or irreversible that process is. Tying this back to question 1, the question would be if the strains resistant to the effects of the cafeteria diet are resistent to these ARC inflammation/leptin resistance changes relative to strains that are not resistant, if the inflammation decreases as rats go back to baseline weight on a normal chow diet, and if any subset of rats that do not go back to baseline show, conversely, persistent inflammatory changes. Stephan, sorry for the lateness of this question, but could you please clarify this text from the abstract--is it saying that low blood glucose only triggers appetite/hunger if it falls to hypoglycemic levels below "the normal physiological range"?